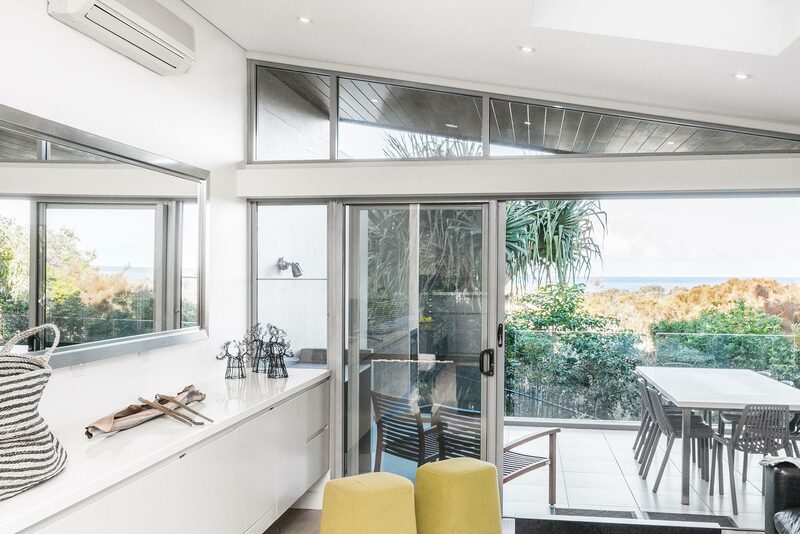 Imagine sliding open glass doors and stepping out onto a spacious balcony with magnificent, uninterrupted views of the Pacific Ocean, with only a stretch of peaceful bushland between you and the sea. 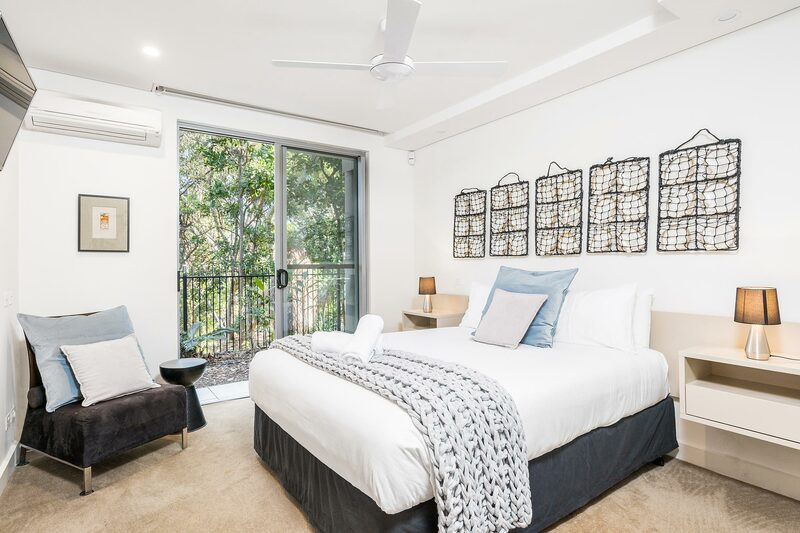 This is what awaits you at Vue From Here, a bright, modern apartment home, tucked away within the quiet gardens of The Oasis Resort but still just a short drive from all the action of Byron Bay. 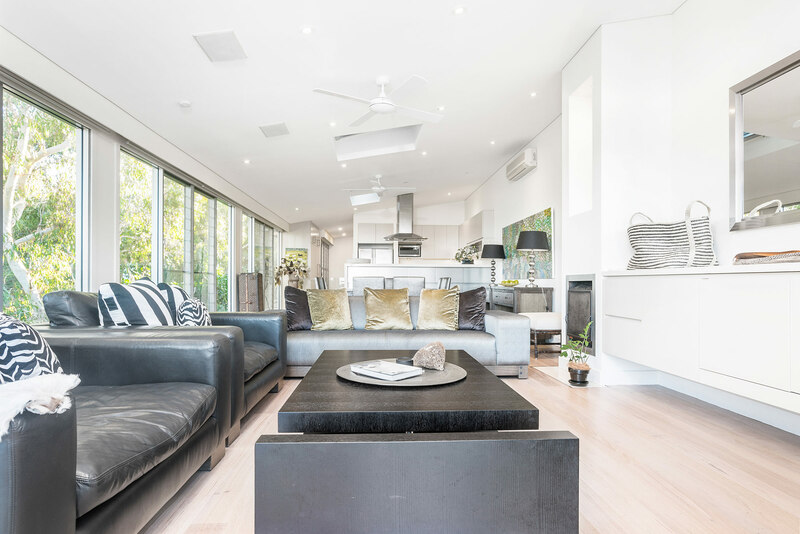 Vue From Here is a contemporary, stylish retreat suitable for three couples or up to 8 guests total, with 4 bedrooms and 2.5 bathrooms. 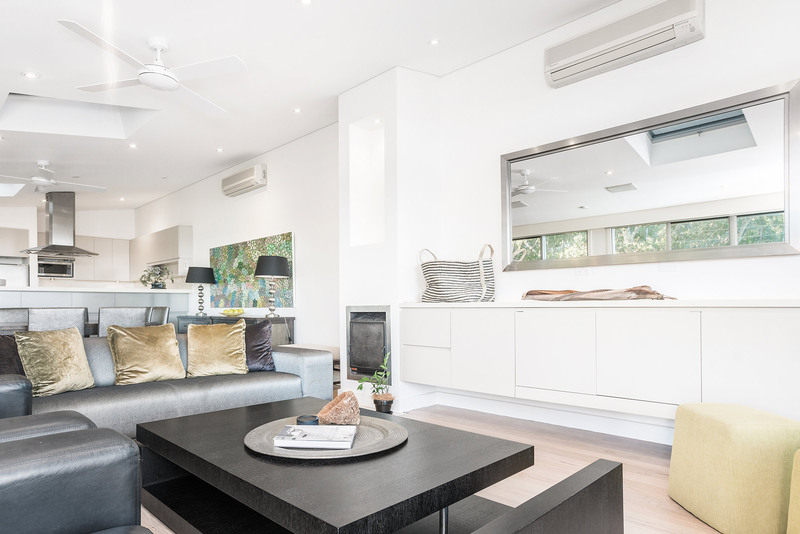 The open-plan living area is a comfortable place to relax and unwind, with ample seating and a flat screen TV, while the modern kitchen is fully-equipped with stainless steel appliances and plenty of storage. 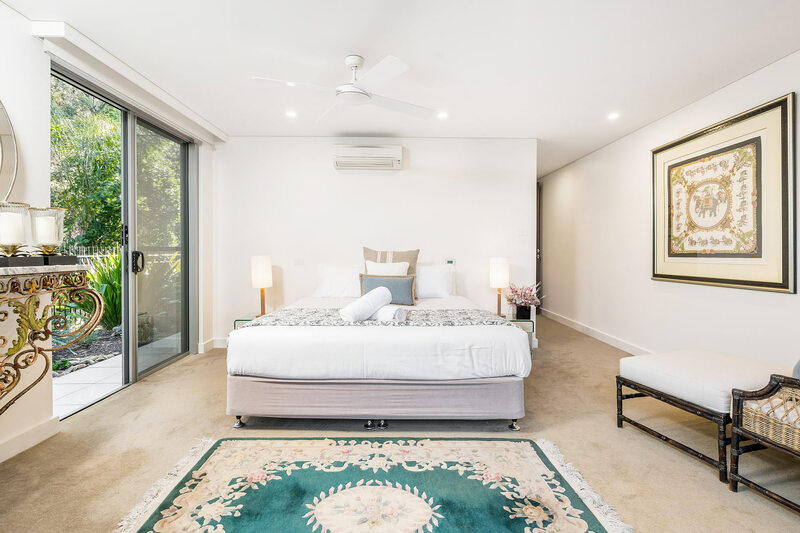 Guests enjoy full access to a wide range of amenities provided by The Oasis Resort, including a heated 18m swimming pool, barbecues, spa, sauna, gym, and tennis court. 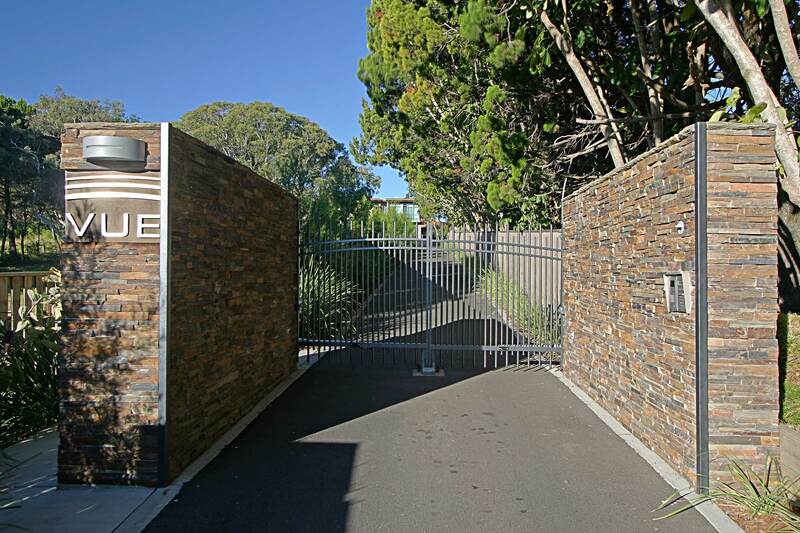 For added privacy and peace of mind, there is a gated entry, a full security system, and covered, lockable parking. Tallows Beach is just a short trail walk through a lush nature reserve, while the centre of town is still a mere 4-minute drive away. Full access to resort-style amenities: 18m heated swimming pool, BBQs, spa, sauna, gym, tennis court, and games room. 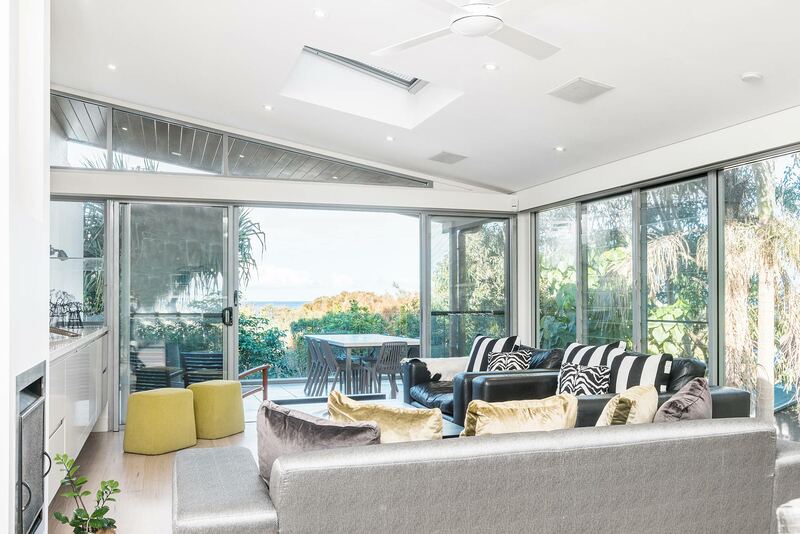 Floor-to-ceiling windows and sliding glass doors surround the open-plan living area on two sides, filing the space with natural daylight and framing the lush, native bushland which stretches uninterrupted toward the Pacific Ocean. Step out onto the spacious balcony to really take in those glorious ocean views, perhaps with a glass of wine or hot cup of coffee. Electric blinds are easily closed to better view the smart TV, equipped with Netflix. Settle into the comfortable sofas and enjoy the perfect, relaxing night in, watching your favourite movie or a few episodes of the latest binge-worthy show. 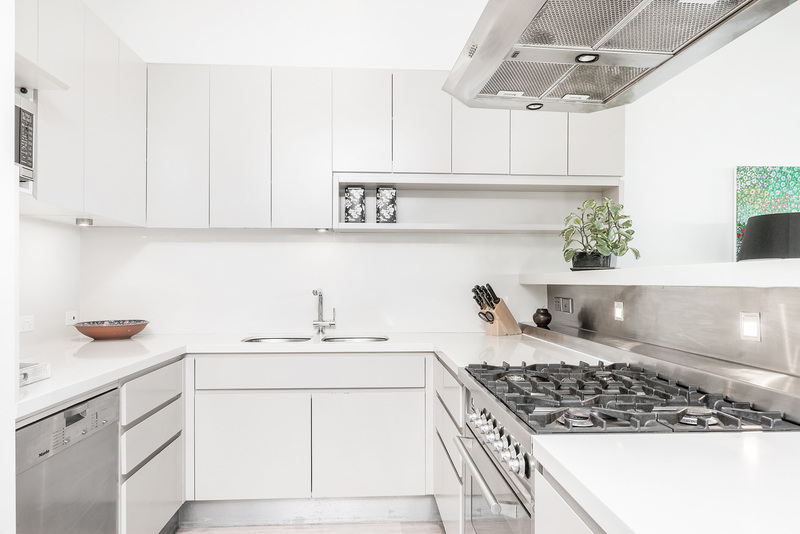 Preparing any meal is a breeze in this bright, modern kitchen, fully equipped with sleek, stainless steel appliances. 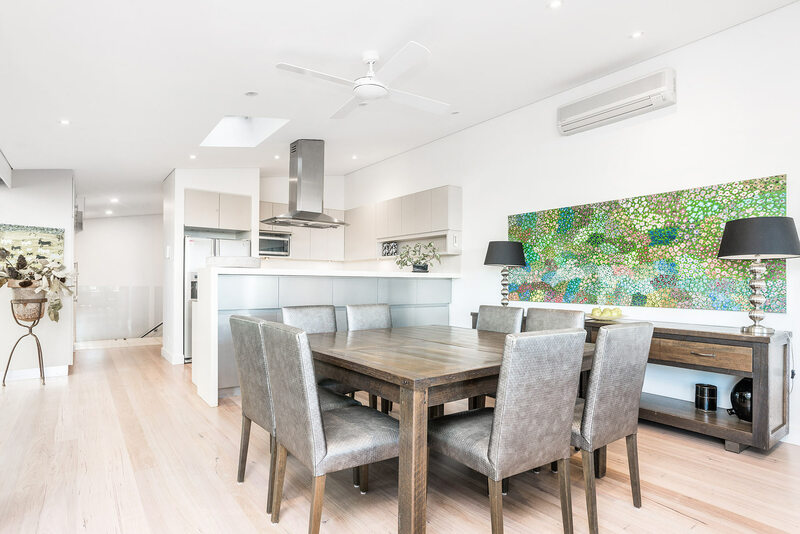 There is ample counter space as well as storage above and below, with everything you need to cook and dine together as a group. Just off the kitchen is the dining area, with seating for up to 8. 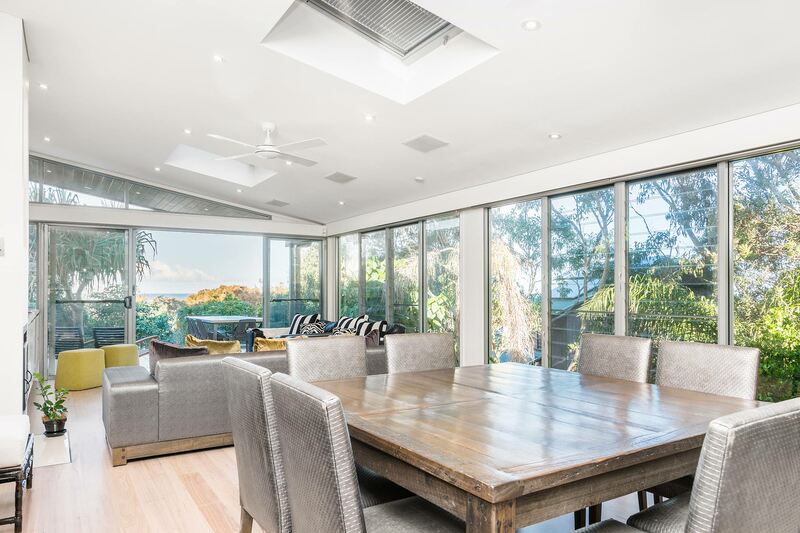 The dining area also opens into the larger living space, enjoying the same floor-to-ceiling windows supplying abundant natural light and lovely views. 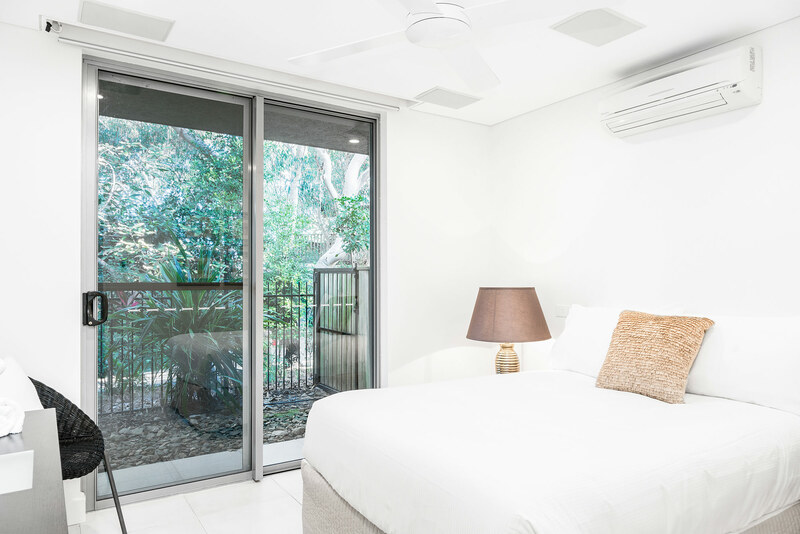 The 4 bedrooms at Vue From Here are bright and comfortable, each with sliding glass doors that open to the outdoor garden. 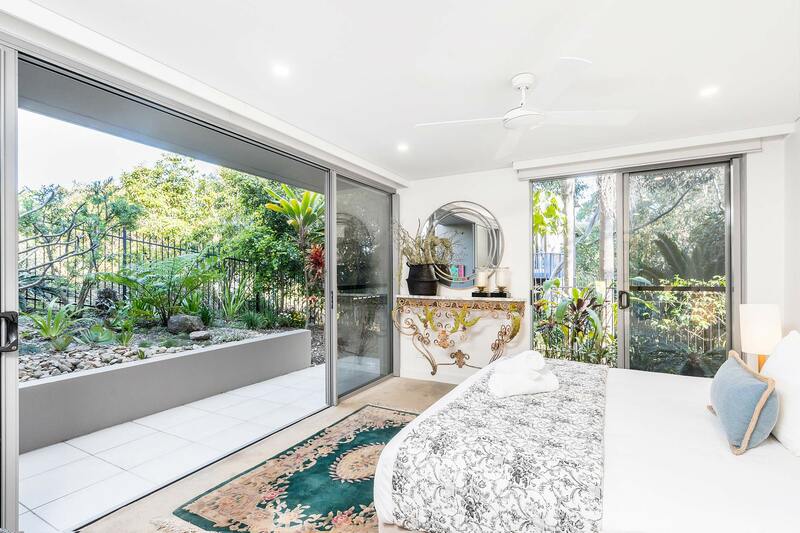 In the master bedroom, the sliding doors open out onto a private courtyard, surrounded with lush landscaping for added privacy. 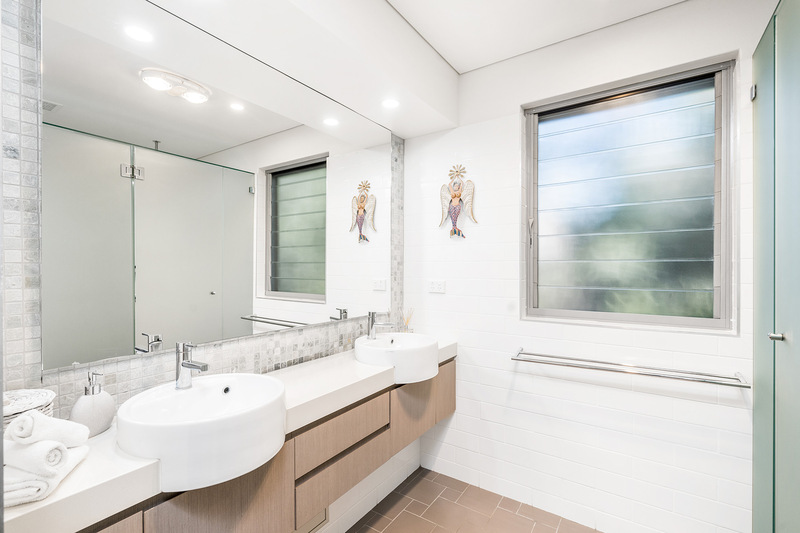 The master also features a sleek, modern ensuite bathroom with ample closet space, overhead shower, and luxurious soaking tub. There is an additional shared bathroom with toilet and shower plus a separate powder room in the hallway. 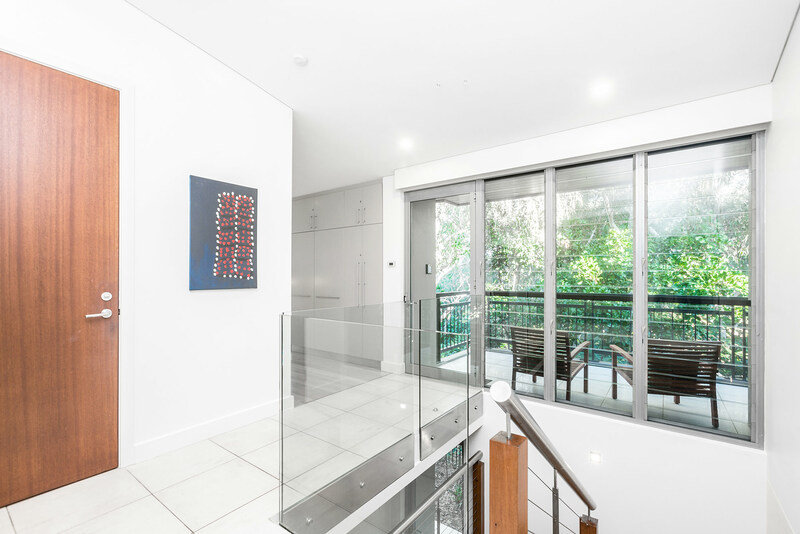 Just off the open-plan living area, the spacious balcony is a highlight of this contemporary, comfortable apartment. There is space for the entire group to sit, relax, and take in the view! 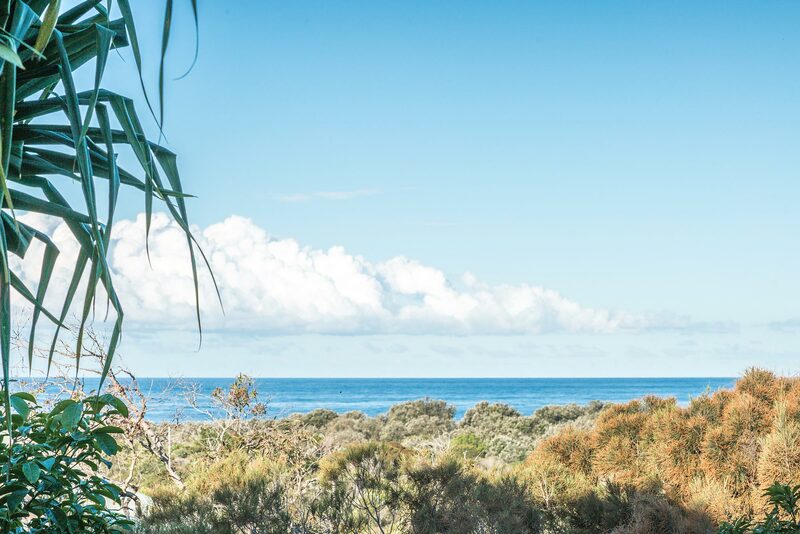 Lush, tropical gardens surround the building while native bushland stretches out below towards the Pacific Ocean, providing an uninterrupted view of the bright blue water. 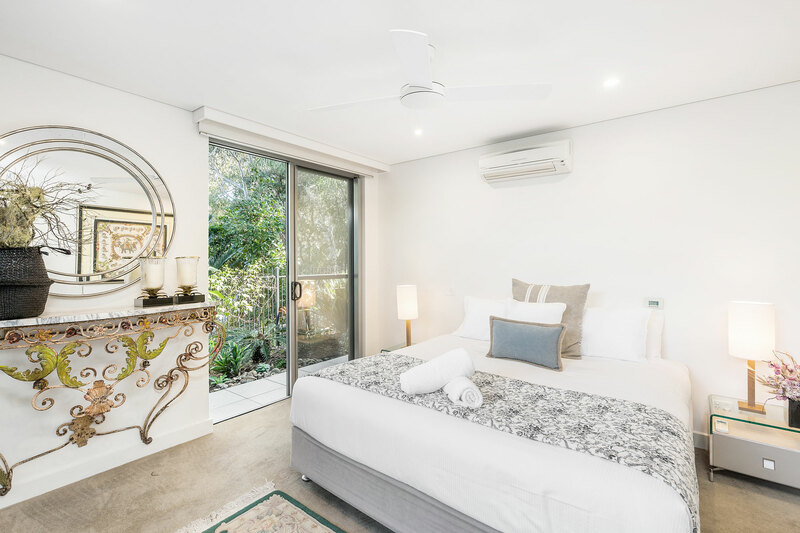 On the ground floor, the bedrooms each have outdoor access via sliding glass doors, while a quiet, private courtyard is located off the master bedroom. Staying at Vue From Here gives guests access to a wide range of facilities and amenities provided by The Oasis Resort. 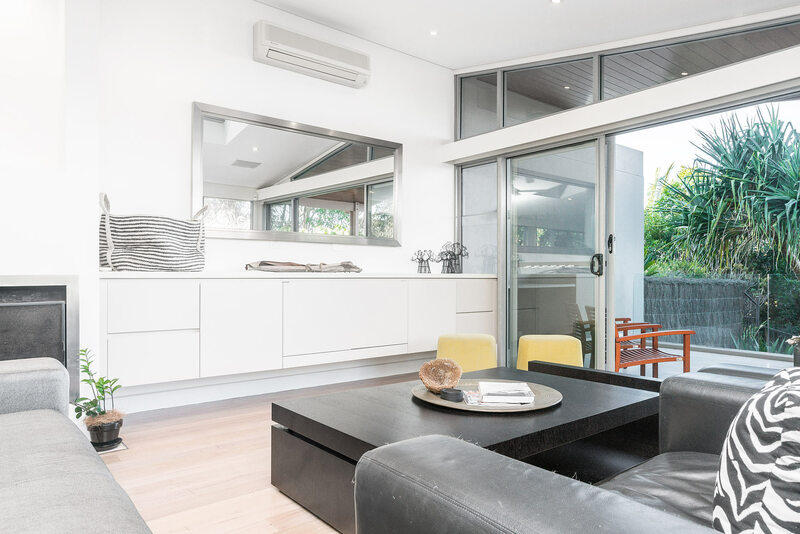 Take advantage of the property’s 18m heated swimming pool, with barbecues, kitchenette and covered outdoor dining space nearby. 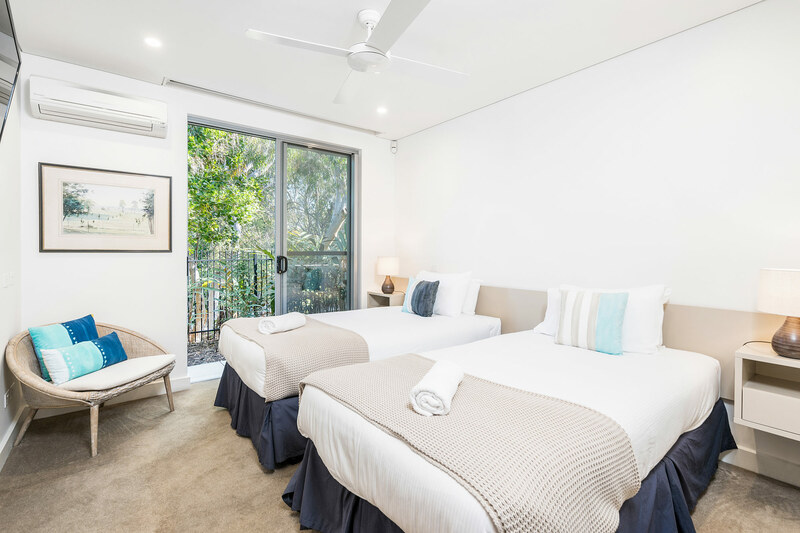 There is also a fully-fitted gym with spa, sauna, and tennis court available, and an expansive games room with special play area for young children. We also offer two bikes for you to enjoy during your stay. 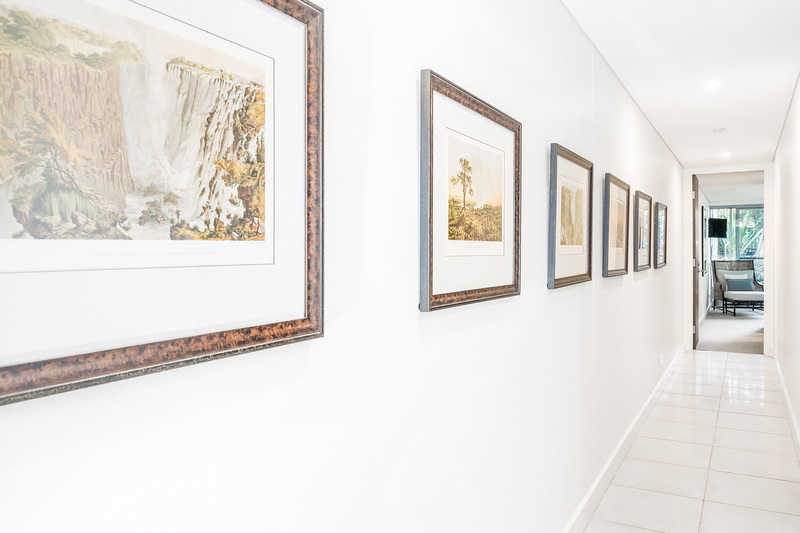 The apartment is also located within a secure, gated community and has covered, lock-up parking available, providing additional security and peace of mind for guests. There is space for 2 cars to park in the covered, lockable garage. Guests who stay at Vue From Here enjoy quiet, serene surroundings and added privacy by staying just outside the busier downtown area. 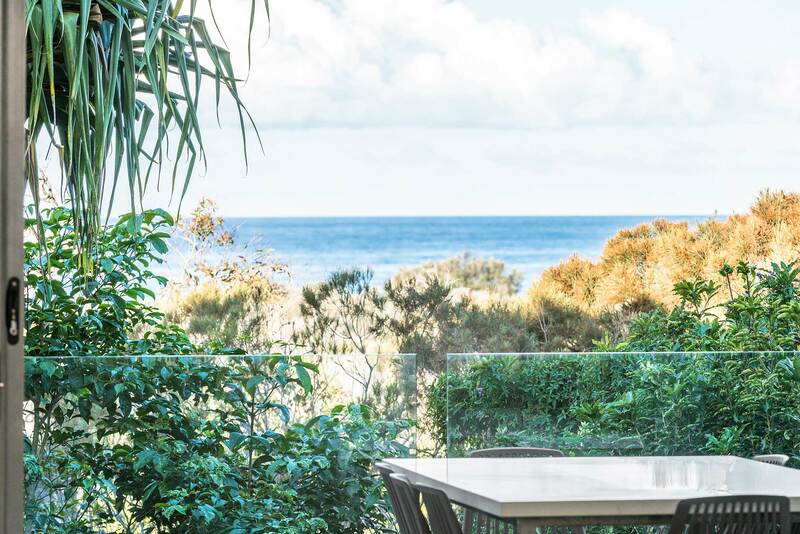 Byron Bay’s centre is still just a 4-minute drive away, with many popular cafes and restaurants, luxurious spas, and boutique shopping. White sand beaches with world-famous surf breaks are never far away either! Tallows Beach is just a 15-minute walk through the nature reserve, while Main Beach is a short drive just past the town centre. Wonderful accommodation. We had a great time here. Thank you.